Facts About Hemorrhoid Treatment: Who Can Get Hemorrhoids? Anyone can get hemorrhoids. Hemorrhoids don't care about your gender, race, or age. The don't even care where you live, or if anyone in your family has hemorrhoids. 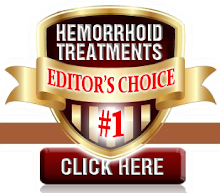 Even though anyone can get hemorrhoids some people are more likely to get them then others. How you live your day-to-day life may also increase or decrease your chances of getting hemorrhoids.